A strange sight in Elliott Bay; should tech titans be split up? ; a new angle to the 4Culture clash; solar panels at an ex-coal mine. For your week-startin’ edification: Matt Manweller’s former almost-child bride speaks; a potential hospital mega-merger; the Sounders wilt; and ‘nerd makeup’ for book and video-game lovers. As for-real football season commences, an area high school tries to “go goth.” We also observe a new purse for the female-identifying Seahawks fan; more complaints about the school-funding deal; how an Idaho town de-Nazified itself; and the pre-gentrified days of Bumbershoot. 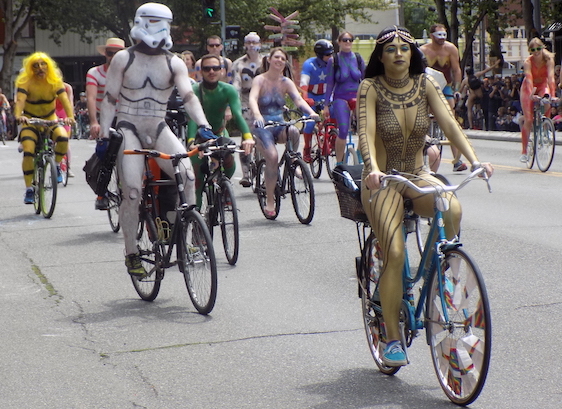 The Fremont Solstice Parade, even more than last year, was essentially an anticlimactic epilogue to the hundreds of body-paint bicyclists. Even the arrival this year of “The Resistance,” a single overriding topic of protest in all its branches and aspects and sub-topics, as the right wing sleaze machine takes near complete control and rushes out an all-fronts attack against literally every good thing in our society (from government aid programs to social civility itself), failed to bring out more volunteer street-theater performers, marchers, musicians, etc. Last year, there was talk that parade organizers would crack down on the nudes in hopes of attracting more participants in the parade itself, participants who might not want to be part of the same spectacle as all the poons and peens on public pubic display. That didn’t happen. But the underlying issue remains. 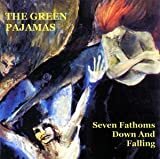 The parade could fade out and die along with the original hippie generation out from which its aesthetic was formed. 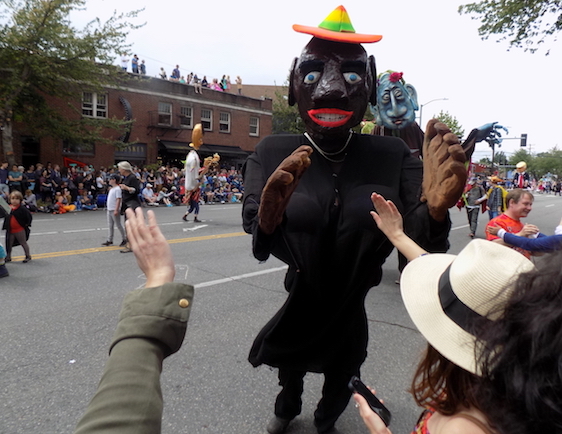 Oh, and the parade got “trolled” by an entrant who showed up with a seven-foot costume puppet of a stereotype black “mammy” figure in a rasta hat. 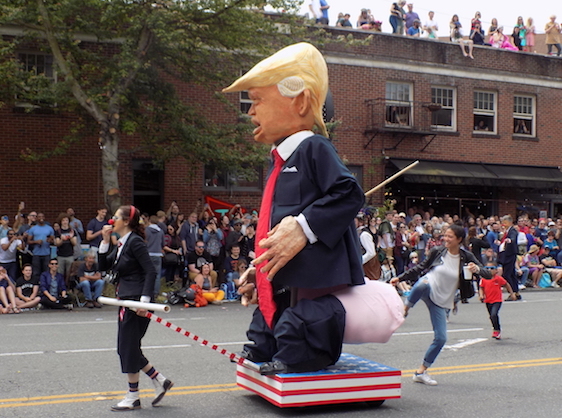 According to some social-media commenters, the (apparently white) guy who performed in the costume was asked to leave the parade’s Friday-evening prep session. He then crashed the Saturday-afternoon event after it had already started, before again being shooed away. 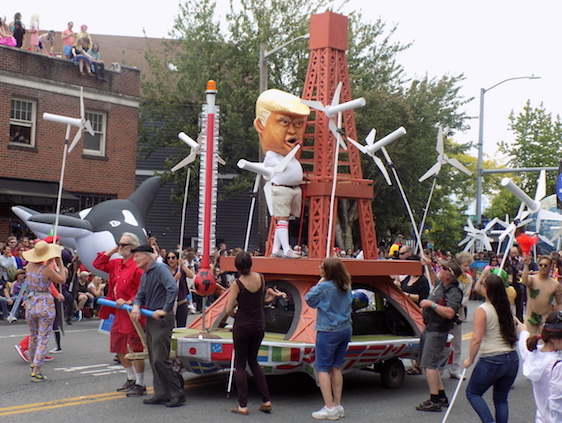 Still, the Solstice Parade’s organizers have managed for almost three decades to keep motor vehicles, corporations, politicians, and even written signs out of the spectacle. But this thing looked just enough like a regular Solstice giant mascot costume that the guy got to strut it down a large segment of the parade route. 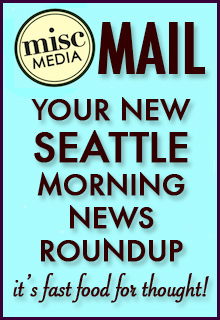 Tuesday’s MISCmedia MAIL reveals the latest Seattle fashion icon (and, frankly, we haven’t had many), and it may be a surprise to a lot of you. Plus: The Space Needle’s extreme makeover; the first official steps toward a city income tax; the state budget crisis getting ever-closer to breakdown; and locals remembering the Pulse shootings. Our Thursday newsletter commences with a memory of Jonathan Demme. 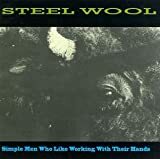 It continues with a loved but closing indie home-garden store; a vaguely defined new anti-homelessness crusade; what’s really behind those $425 jeans; and a fond adieu to Beast Mode. MISCmedia MAIL FOR 3/20/17: TIME FOR SPRING I SAY! As we wait, sometimes more patiently than others, for the ol’ change-O-seasons thang, we take note of particularly dreadful faux-native American kitsch; a serious allegation against a local celeb; another call for less bro-dominance in tech; and the Case of the Paltry Pint Glass. A local teen activist explains part of What Must Be Done this Martin Luther King Day. 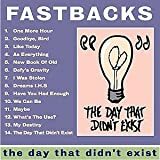 Additional glances today are paid at the still shrinking Eddie Bauer empire; lessons from our past about “how to deal with fascists;” a proposed “quiet zone” for orcas; and bike sharing’s death and non-resurrection. Video evidence shows that police-shooting victim Che Taylor was left to bleed on the ground for almost eight minutes. We also discuss a potentially misguided effort to industrialize a suburb; big sign-ups for the local Women’s March; a girls’ school adding boys (in a separate facility); Korean fashion coming to town; and the usual dozens of weekend activity listings.